Background: First-line maintenance with erlotinib in nonsmall cell lung cancer (NSCLC) patients without progression after four cycles of chemotherapy was well tolerated and significantly prolonged progression-free survival (PFS) compared with placebo. Aim and Design: This open-label, single arm, Phase IV, interventional study was designed to evaluate erlotinib as first-line maintenance after chemotherapy in Indian NSCLC patients. Primary efficacy objective was to evaluate PFS rate (PFSR) at week 52 and secondary objectives were determination of PFS, overall survival (OS), overall response rate (ORR), disease control rate, and safety. Subjects and Methods: Patients were treated with erlotinib until disease progression/death/unacceptable toxicity or end of study. Patients with disease progression underwent scheduled clinical assessments every 12 weeks thereafter. Kaplan–Meier estimates were used to evaluate PFSR, PFS, and OS. The ORR was summarized using number and percentage along with two-sided 95% Clopper–Pearson confidence interval. The incidence of adverse events (AEs) and serious AEs (SAEs) was tabulated according to severity, outcome, and relationship to erlotinib. Results: Of the 51 enrolled patients, 47 patients completed the study (2: Continuing treatment, 41: Disease progression, and 4: Death) and four patients discontinued treatment (3: Lost to follow-up; 1: Withdrew consent). PFSR was 22.5% at 12 months, median PFS 99 days (14.14 weeks), and median OS was 671 days (22 months). The probability of OS was 74.5% at 14 months. The ORR was 25.5%, and disease control rate was 55.3%. AEs were reported in 62.7% and SAE in 7.8% of patients. Common AEs were diarrhea and rash. Conclusions: Erlotinib was well tolerated by Indian patients in first-line maintenance setting and resulted in median PFS of 14 weeks and median OS of 22 months better than previously reported and with no new safety concerns in this population. Introduction: Bronchopulmonary carcinoids are uncommon tumors with relatively indolent biological behavior but a distinct malignant potential. Surgery is the mainstay of treatment. Our aim was to study preoperative characteristics, surgical approaches, and outcome in patients with bronchopulmonary carcinoid tumors. Patients and Methods: This retrospective study was done in the Department of Surgical Oncology of a Tertiary Teaching Hospital of North India. The case records of all the patients who underwent surgical treatment for lung neoplasms and were diagnosed to have bronchopulmonary carcinoids were reviewed. Details concerning the clinical presentation, preoperative therapy, operative procedure, postoperative complications, and outcome were retrieved from the case records. Results: Sixteen patients who underwent surgical treatment were found to have bronchopulmonary carcinoids on histopathological examination. The median age of the patients was 34 years (range 18–62 years). There were 11 men and five women. All patients were symptomatic, and the median duration of symptoms was 12 months (range 6–72 months) before presentation. Six patients had received antitubercular treatment before presentation, and one patient had been treated with chemotherapy due to misdiagnosis. Surgical procedures included six pneumonectomies (one with carinoplasty), four bilobectomies, three lobectomies, and three bronchoplastic procedures (two with lobectomy and one with bilobectomy). There was no postoperative mortality; three patients had morbidity in the form of lobar collapse, prolonged pleural collection, and surgical site infection. With a median follow-up time of 11 months (range 2–85 months), all the 16 patients are alive and disease-free. Conclusions: Delayed presentation and misdiagnosis of bronchial carcinoid are major concerns in North India. Adequate surgical resection can be performed without undue morbidity and is associated with good long-term results. Background: The combination of paclitaxel and cetuximab (PaCe) has led to an encouraging response rate in Phase 2 setting with limited toxicity. The aim of our study was to assess the efficacy of this regimen in our setting in platinum sensitive and nonsensitive patients. Methods: This was a retrospective analysis of head and neck cancer patients treated with weekly PaCe as palliative chemotherapy between May 2010 and August 2014. The standard schedule of cetuximab along with 80 mg/m2 of weekly paclitaxel was administered till either disease progression or withdrawal of patient's consent. The toxicity and response were noted in accordance with CTCAE version 4.02 and RECIST version 1.1 criteria, respectively. The response rates between platinum sensitive and nonsensitive patients were compared by Chi-square test. Overall survival (OS) and progression-free survival (PFS) were estimated by Kaplan–Meier survival method and log-rank test was used for comparison. Cox proportional hazard model was used for identification of factors affecting PFS and OS. Results: One Hundred patients with a median age of 52 years (interquartile range: 46–56 years) were included. Forty-five patients (45%) were platinum insensitive, whereas 55 patients (55%) were platinum sensitive. In platinum insensitive patients and sensitive patients, the response rates were 38.5% and 22.2%, respectively (P = 0.104), whereas the symptomatic benefit in pain was seen in 89.5% and 71.7%, respectively (P = 0.044). The median PFS in platinum insensitive and sensitive patients were 150 and 152 days, respectively (P = 0.932), whereas the median OS was 256 days (95% confidence interval [95% CI]: 168.2–343.8 days) and 314 days (95% CI: 227.6–400.4 days), respectively (P = 0.23). Nineteen patients (19%) had grades 3–4 adverse events during chemotherapy. Conclusion: Weekly paclitaxel combined with cetuximab has promising efficacy and good tolerability in the palliative setting in advanced head and neck cancer in both platinum sensitive and insensitive patients. Background: To assess the response rate and impact of neoadjuvant chemotherapy (NACT) in advanced carcinoma of the hypopharynx and larynx. Materials and Methods: This is a retrospective case series of 80 patients with locally advanced laryngopharynx carcinoma who received NACT from April 2010 to October 2011 at our tertiary care center. The patients received NACT either for achieving resectability or for organ preservation. Results: Majority of the patients (60%) had T4 a disease. Grade 3 and 4 neutropenia was seen in 18%, febrile neutropenia in 4%, mucositis in 4%, diarrhea in 5%, and vomiting in 3% patients. Resectability could be achieved in 34%, and larynx was preserved in 51% patients at a mean follow-up of 13 months. Conclusions: NACT was safe with acceptable toxicity. Majority of the patients who achieved resectability had oropharyngeal involvement. NACT followed by concurrent chemoradiotherapy could provide a high rate of organ preservation. Background: A granulocyte colony-stimulating factor, pegfilgrastim, is efficacious though expensive for prophylactic treatment of chemotherapy-induced neutropenia and febrile neutropenia. Biologics available and accessible today, having acceptable safety-efficacy profiles, require postapproval studies for better understanding of such drugs in clinical settings. Aim: This postmarketing surveillance study evaluated the safety of prophylactic Peg-grafeel™ (pegfilgrastim) in cancer patients with chemotherapy-induced neutropenia. 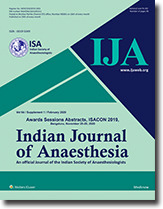 Settings and Design: This prospective, noninterventional, single-arm, open-label study was conducted at 10 study sites in India. Methods: Patients received subcutaneous 6 mg Peg-grafeel™ approximately 24 h following chemotherapy as part of routine patient care. Statistical Analysis: Data were summarized descriptively. Results: The study included 250 patients (male: female = 36.4%:63.6%; median age, 54 [16–80] years). Most patients had Stage III (33.2%) or IV (41.6%) cancers and received cyclophosphamide (37.2%) and doxorubicin (31.6%) as chemotherapy. On an average, 4 Peg-grafeel™ doses were administered per patient. Treatment-emergent adverse events (AEs) were reported in 115 (46%) patients, the most common being vomiting (11.6%), pain (11.2%), nausea (8.4%), and constipation (8.4%). Peg-grafeel™-related AEs included pain (3.2%), asthenia (2.4%), and arthralgia (1.2%). Bone pain (0.4%) and extremity pain (1.2%) were rare. Grade 3/4 neutropenia and febrile neutropenia occurred in 4 (1.6%) and 3 (1.2%) patients, respectively. Serious AEs included vomiting (2.8%) and pyrexia (2%). No new safety concerns were identified. None of the five deaths was considered related to Peg-grafeel™. Conclusion: The overall safety profile of Peg-grafeel™ was consistent with the expected safety profile of pegfilgrastim in patients with advanced malignancies in a clinical setting. Background: Febrile neutropenia (FN) is common in cancer patients particularly hematologic malignancies due to intensive cytotoxic chemotherapy. It is an important cause of morbidity, mortality and treatment delays. The risk is greater in patients with ANC < 500/ mm3 and increases dramatically in those with ANC < 100/ mm3 and duration of neutropenia more than 1 week. Aims and Objectives: The purpose of this study was to evaluate the incidence, demographic characteristics, clinical profile, mortality, outcome and factors affecting the outcome in patients with febrile neutropenia (FN) admitted at our Center between January 2011 and November 2012. Materials and Methods: All cases of FN admitted in our Institute between January 2011 and November 2012 were analyzed. Data was analyzed using IBM statistic SPSS version 19. Results: A total of 333 episodes of FN were reviewed. Hematologic malignancies accounted for 299 (89.7%) episodes and 88% of all the episodes had grade 4 neutropenia. There was a significant association noted between high serum bilirubin, creatinine and outcome. Isolation of an organism from blood culture, positive findings on chest X-ray and fungal infection was associated with higher mortality . Association between transfusion requirements and outcome was analyzed and it was observed that patients who had multiple component transfusions vs single component ones were at a significantly higher risk of death. There were only 7 deaths noted among the patient population. Conclusion: Leukemias are the leading cause of FN at our Institute. Higher bilirubin, creatinine, chest imaging favoring pneumonia, positive isolates and multiple transfusions had significant association with mortality. Large scale prospective studies are needed to determine the association of preemptive therapy with higher mortality. The outcome of high risk FN in this study is favorable. Introduction: Childhood malignancy, although a rare phenomenon, is still the leading cause of mortality in the pediatric population. Early diagnosis and treatment are imperative for the achievement of optimal prognosis. The study of factors facilitating the delay in diagnosis is thus of utmost importance, to both shorten the diagnostic delay and allow for early therapeutic intervention, facilitating a higher prognosis. Objective: To assess the referral pattern and the identification of potential delays in the diagnosis of childhood malignancy in a developing country. Methodology: The study was conducted in the Pediatric Hematology and Oncology department of Sri Ramachandra University, Chennai, India. The study included randomly selected 70 pediatric patients diagnosed with a hematological malignancy, from July 2012-August 2013. The parents were interviewed using a prepared questionnaire about patient symptomatology, interaction with healthcare providers, final diagnosis, and referral details. Data were statistically analyzed using Statistica® (STATsoft). Results: 70 patients were included in the study (69% boys, 31% girls). The diagnostic delay was primarily due to the delay experienced in the healthcare system, with a mean delay of 26 days (Median: 18; Range: 5-39). Those from a lower socioeconomic background and whom opted for a non-allopathic treatment approach experienced higher diagnostic delays. Diagnostic time was significantly shorter for those who visited a pediatrician versus the patients who visited a general physician or super specialties (P = 0.043). Conclusions: Diagnostic delay is often associated with an extensive disease presentation, an aggressive therapeutic approach, and has a negative impact on patient prognosis. To lower mortality rate and facilitate a favourable prognosis, diagnosis requires a high degree of clinical suspicion and immediate intervention. Background: 18-Fluorodeoxyglucose positron emission tomography (FDG-PET) has established a role in the evaluation of several malignancies. However, its precise clinical role in the neural crest cell tumors continues to evolve. Purpose: The purpose of this study was to compare iodine-131 metaiodobenzylguanidine (131I-MIBG) and FDG-PET of head to head in patients with neural crest tumors both qualitatively and semiquantitatively and to determine their clinical utility in disease status evaluation and further management. Materials and Methods: A total of 32 patients who had undergone 131I-MIBG and FDG-PET prospectively were evaluated and clinicopathologically grouped into three categories: neuroblastoma, pheochromocytoma, and medullary carcinoma thyroid. Results: In 18 patients of neuroblastoma, FDG PET and 131I-MIBG showed patient-specific sensitivity of 84% and 72%, respectively. The mean maximum standardized uptake value (SUVmax) of primary lesions in patients with unfavorable histology was found to be relatively higher than those with favorable histology (5.18 ± 2.38 vs. 3.21 ± 1.69). The mean SUVmaxof two common sites (posterior superior iliac spine [PSIS] and greater trochanter) was higher in patients with involved marrow than those with uninvolved one (2.36 and 2.75 vs. 1.26 and 1.34, respectively). The ratio of SUVmaxof the involved/contralateral normal sites was 2.16 ± 1.9. In equivocal bone marrow results, the uptake pattern with SUV estimation can depict metastatic involvement and help in redirecting the biopsy site. Among seven patients of pheochromocytoma, FDG-PET revealed 100% patient-specific sensitivity. FDG-PET detected more metastatic foci than 131I-MIBG (18 vs. 13 sites). In seven patients of medullary carcinoma thyroid, FDG-PET localized residual, recurrent, or metastatic disease with much higher sensitivity (32 metastatic foci with 72% patient specific sensitivity) than 131I-MIBG, trending along the higher serum calcitonin levels. Conclusions: FDG-PET is not only a good complementary modality in the management of neural crest cell tumors but also it can even be superior, especially in cases of 131I-MIBG nonavid tumors.